Our Libertine Beard Oil is the perfect product for any man who cares about keeping his beard and facial skin healthy and hydrated. 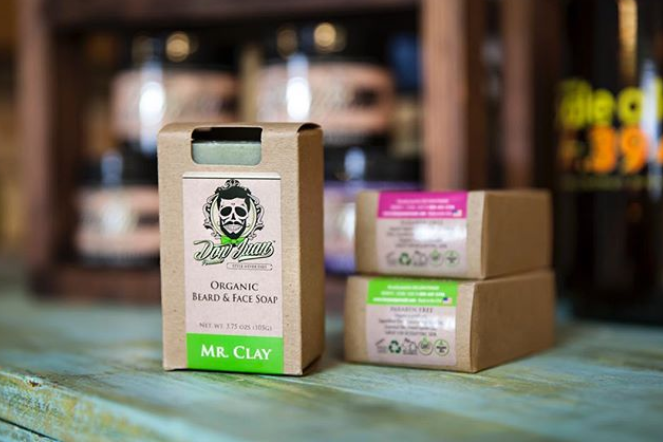 Made with high-quality organic ingredients, this product will keep your beard looking and smelling great. Our Libertine Beard Oil is simply the best product that you could ever put on your beard and skin. The formula is completely organic thanks to its blend of natural ingredients that keep your skin free of irritation while boasting serious moisturizing properties. Eight individual moisturizing oils go into each bottle of Libertine Beard Oil. Organic jojoba and argan oils moisturize the skin deep beneath the surface. Squalane is a plant-derived humectant that attracts moisture from the environment. Meanwhile, coconut oil and vitamin E soothe inflammation, improving the appearance of your skin and beard. 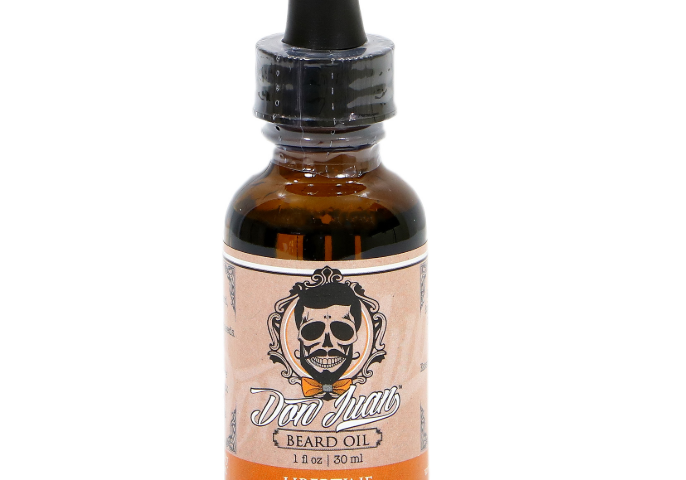 Vanilla, orange and tangerine essential oils will make your beard smell incredible all day long. In addition to providing your facial hair with an intoxicating fragrance, these essential oils improve the appearance and health of your skin by reducing inflammation, killing bacteria and providing the skin with potent antioxidants that reverse the signs of aging. Our Libertine Beard Oil is not tested on animals. The formula is free of nut-based oils to accommodate men with nut allergies. Each batch of Libertine Beard Oil is tested for quality. We’re proud to create our products in small batches in order to ensure the best quality possible. It comes in a 30 ml amber glass dropper bottle. The amber glass prevents oxidization of the ingredients so that your beard oil won’t go rancid. The glass pipette allows you to dispense your beard oil with perfect precision. 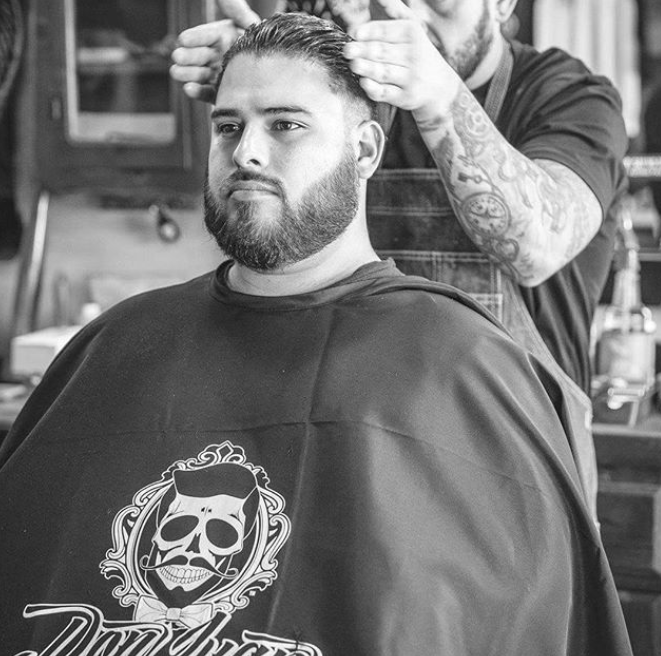 To apply Libertine Beard Oil, simply use the dropper cap to dispense several drops into your palm. Then, rub your palms together and massage the beard oil into your facial hair and skin. The Libertine Beard Oil is an exceptional product for men who want to have the healthiest facial hair and skin around. With its glorious aroma and impressive moisturizing abilities, this oil will transform your grooming life.